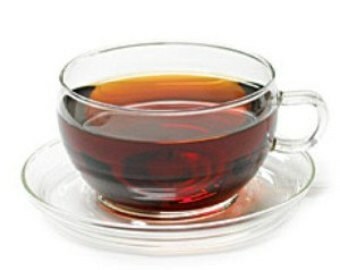 Chaga mushroom tea is easy to make and packed full of health benefits. It has a very natural and earthy taste to it. It can be slightly bitter or have gentle hints of vanilla, but in general, its taste is very indistinct. Some people enjoy Chaga mushroom tea just the way it is. Others prefer to add ingredients to spice up the flavor a bit or mask some of the bitter tastes. Here are some great flavors to mix into your Chaga mushroom tea. Chaga tea can make an excellent chai latte style drink. These rich spicy flavors are especially delicious during the fall and winter. Try steeping your tea with cardamom, cinnamon, and nutmeg. Any other spices you enjoy such as cloves, allspice, and ginger will also add the fall spice flavor. Experiment with different spices and amounts to find your favorite flavor combination. Add some frothed almond milk to thicken the drink. Vanillin is a compound that is naturally present in Chaga tea, giving it a hint of vanilla flavor. Add some pure vanilla extract or steep with a vanilla bean to amp up that natural vanilla flavor. Try sweeting the tea with honey or stevia to complement the vanilla. Chocolate flavors go great with anything, especially a warm beverage. Try blending some cacao nibs into the Chaga and crafting a smoothy, or a hot chocolate style drink. You can also use cacao powder or dark chocolate. Cacao is unprocessed chocolate and has a rich flavor, but also a very bitter edge. 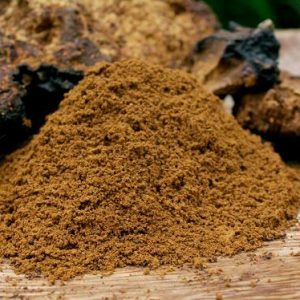 If you love bitter drinks like coffee or unsweet black tea, cacao will be an ideal flavor for your Chaga tea. If you want a thick hardy drink to sip on throughout a cold winter, add some nut milk to your Chaga drink. These natural milks are good for your health and the rich, nutty flavors bring out the earthy flavors of the tea. Froth almond milk for and easy, latte style drinks. You don’t want to go overboard with sugar, negating the healthy benefits of the Chaga mushroom tea, but you can add some sweetener. Honey will work well with the earthy taste and take the edge off of any bitter flavors. Stevia is also a nice natural alternative to refined sugar. This plant based sweetener can improve any cup of Chaga tea. Agave is also a natural, plant based sweetener that can replace sugar. You don’t have to add anything to Chaga tea to enjoy it. However, even if you enjoy it as it is, you may want to change up your routine with different flavors and drinks. 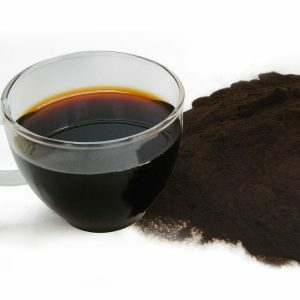 Just like coffee, Chaga can be enjoyed in a variety of ways. Add flavors, sweeteners, and milk to enhance its natural flavors and even boost its health benefits. Try it iced, blended, or frothed for variety in texture and to coordinate with the season. 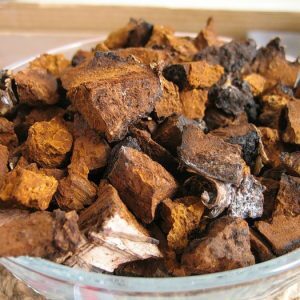 Chaga is delicious any time of year and with the endless combinations of flavors you won’t get tired of it.